Finding a base that is lightweight yet gives you coverage is hard, I used to love the L'Oreal True Match but it is now clinging to the dry patches. I decided to try something new, a very old product but like always I am late on the bandwagon it's the Bourjois 123 Perfect Colour Correcting Cream. I would have never even thought of trying this if it wasn't for Emily (aka EmilyLoula, make sure you check her out!). She has a special power that persuades me to buy things and when I saw her tweet about it, I asked it if it was worth it and she loves it - an hour later I went for it! 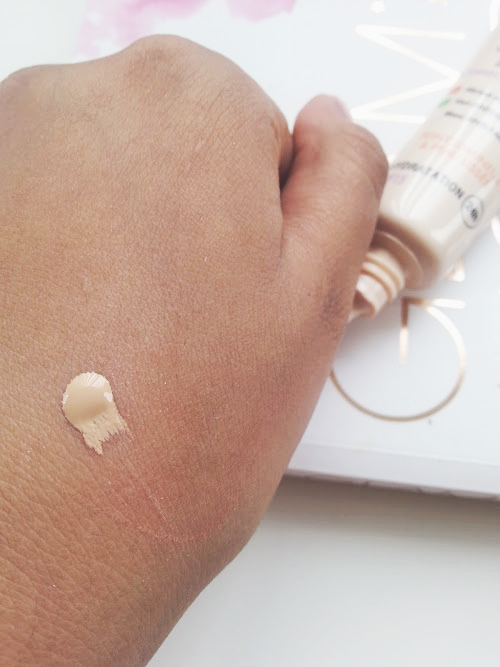 Upon my first application I noticed that it had in fact cancelled out my redness and dark spots which is just amazing as nothing but concealer usually does that. 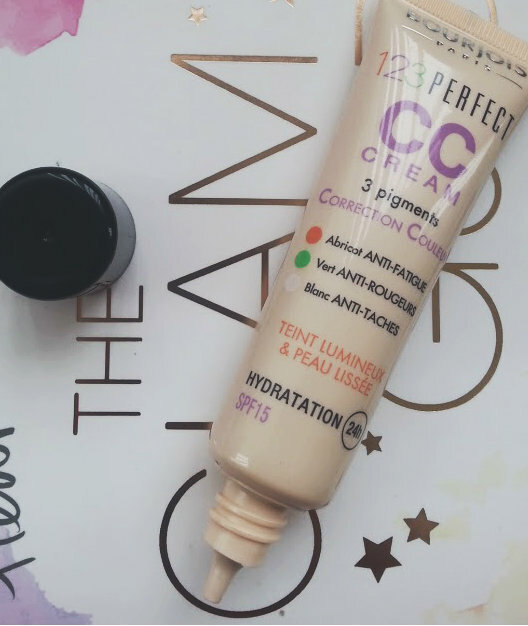 The CC Cream is very light weight, and with only one even layer I was more than happy with the coverage, it can be built up for a fuller coverage but I don't think there is no need. The only that bothers me is the scent, it smells like there is perfume in there but my skin hasn't reacted to it which is very surprising in deed! SPF is only 15 not making it ideal for holiday or to wear in the sun unless you wear a extra SPF underneath. Would I buy this again? For Sure! It is the best light base I have tried that works on my skin and it looks like Bourjois is becoming my new favourite brand...Have you tried this CC Cream?